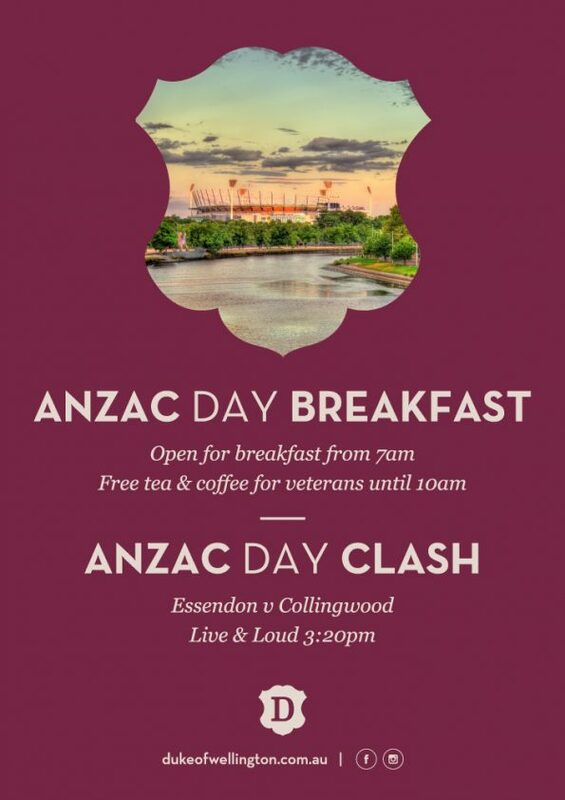 We’ve got ANZAC Day covered. We’re open for breakfast from 7am, and will be providing free tea & coffee for veterans until 10am. Then, watch as Essendon takes on Collingwood in the ANZAC Day clash. Catch all the action live & loud from 3:20pm.